The Blue Ridge Parkway is considered one of the most scenic byways in the United States and offers travelers the opportunity to see one of the country's most beautiful regions. Connecting Great Smokey Mountains National Park at the southern end with Shenandoah National Park at the northern end, the Parkway meanders along for 469 twisting, undulating miles. 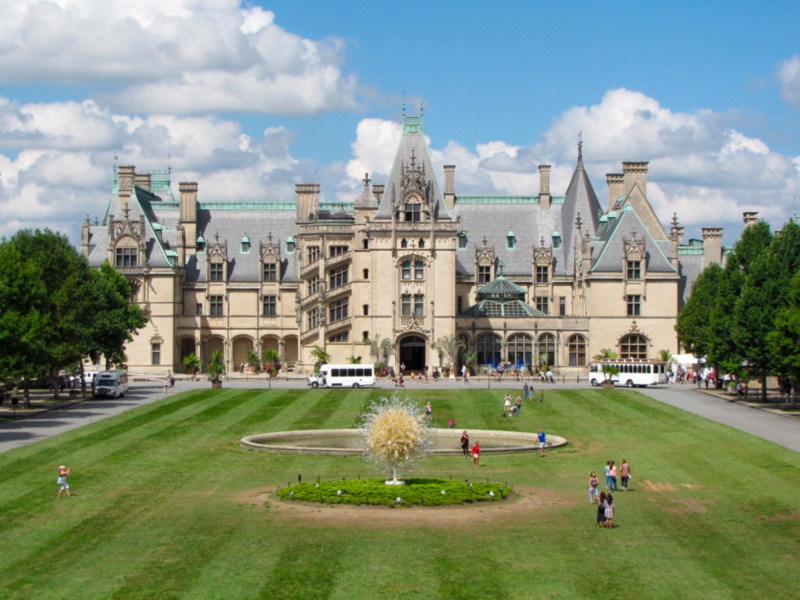 We recently had an opportunity to experience the magic of the Parkway when we visited Asheville, North Carolina. 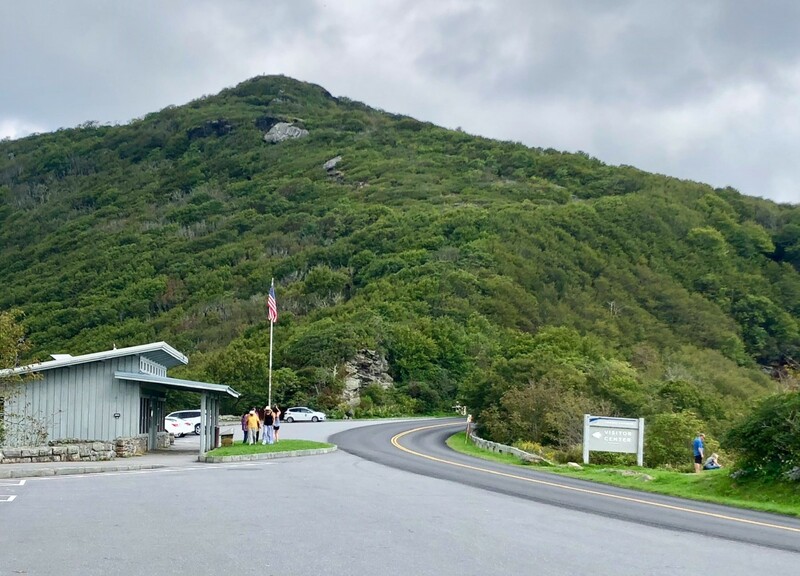 Although we drove just a small section, from the Asheville Visitor Center to the Museum of North Carolina Minerals in Spruce Pine, we took our time and spent an entire afternoon to cover just 54 miles of the Blue Ridge Parkway. As luck would have it, this particular stretch of the Parkway is one of the more scenic and interesting to drive. 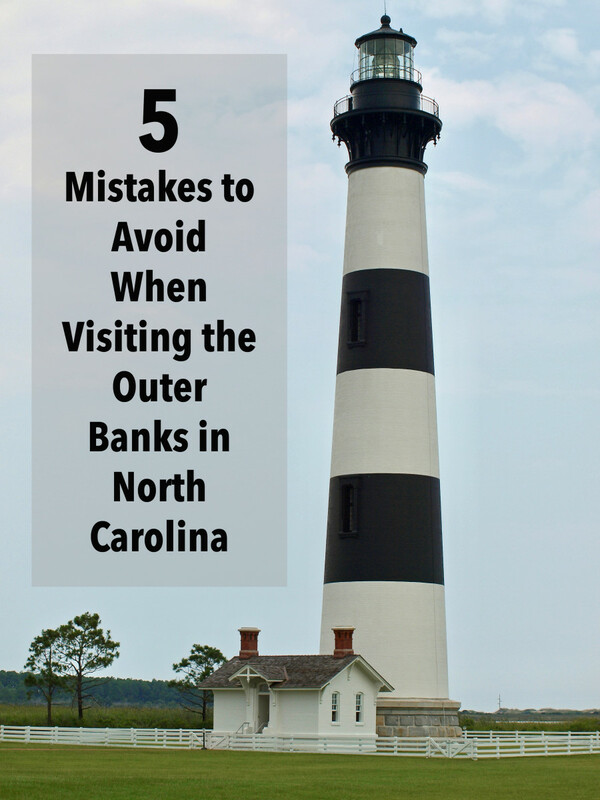 In just 50 miles or so you can stop at the Folk Art Center, Craggy Gardens, drive to the top of Mount Mitchell, visit Little Switzerland, and explore the Museum of North Carolina Minerals. Add in numerous scenic stops along the way, and you can see how easily it would be to spend an entire day covering just 50 miles. I actually think that the perfect day trip from Asheville would be to make it to Linville, home of the Linville Falls and caverns. You would have to get a fairly early start, but it is certainly doable. For most visitors to the Blue Ridge Parkway, the attraction is the scenery and there is no shortage of it here. The sweeping views that seem to go on forever are reason enough to visit, and you will find yourself mesmerized by the natural beauty that abounds here in western North Carolina. You should certainly take advantage of the many scenic stops along the Parkway as they offer easy access to some of the best views. With numerous Visitor Centers, historic towns, campgrounds, and hiking trails, there is something for everyone along the way. 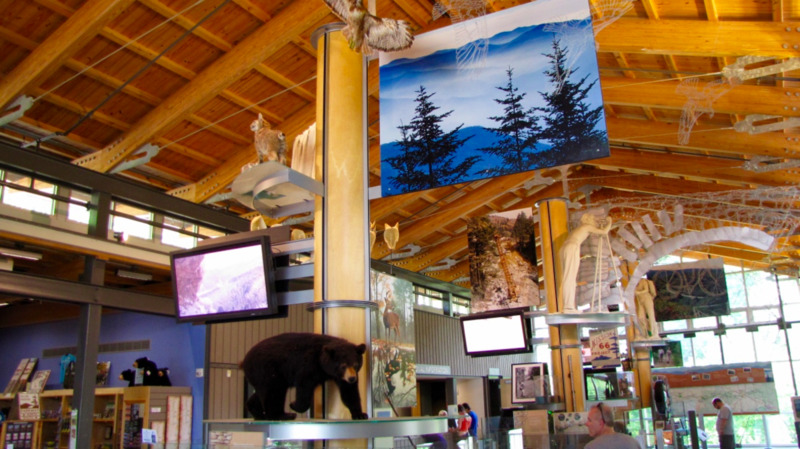 The Asheville Visitor Center is a great place to start a journey on the Parkway. It is loaded with useful information and displays, and the park ranger on hand can certainly answer any questions you may have. What we learned from our visit to the Visitor Center is that we would be climbing over 3,000 feet in elevation over the next 16 miles. As you climb up to the ridge of the mountains, the landscape definitely changes, and before you know it, there are stunning views in every direction. The scenery is of nothing but pure North Carolina forest as far as the eye can see. The first stop after heading northeast from the Visitor Center is the Folk Art Center. 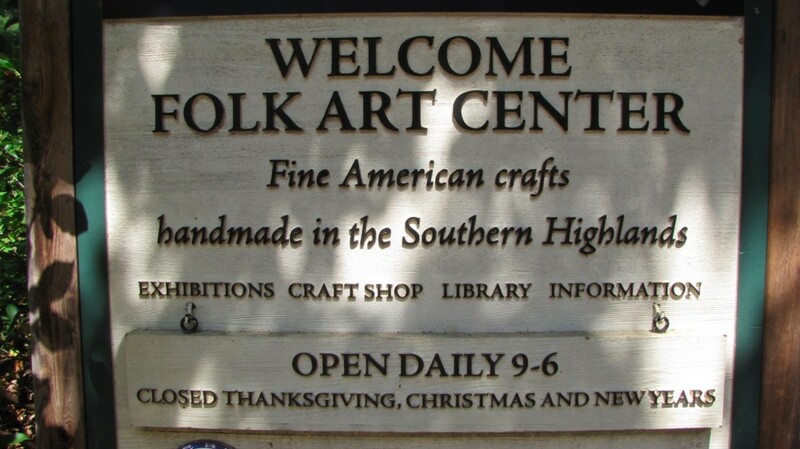 Located at milepost 382 of the Blue Ridge Parkway, the center is home to the Southern Highland Craft Guild. The center has three art galleries, a library, bookstore, craft shop, and of course an information desk. It’s a great place to see firsthand the craftsmanship of the very talented folks in this area and to learn about the history of crafting that dates back to the 19th century. ​January to March: Open 9 am to 5 pm daily. ​April to December: Open 9 am to 6 pm daily. ​Closed Christmas, New Year’s Day, and Thanksgiving. 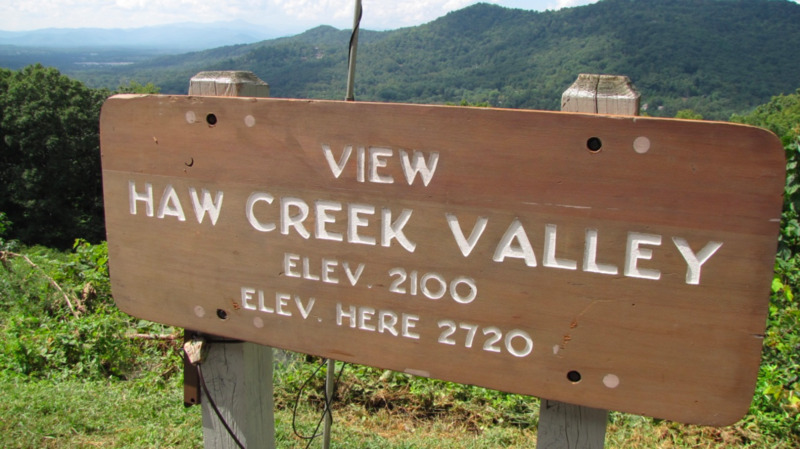 The next stop on the Parkway is the area known as Craggy Gardens. 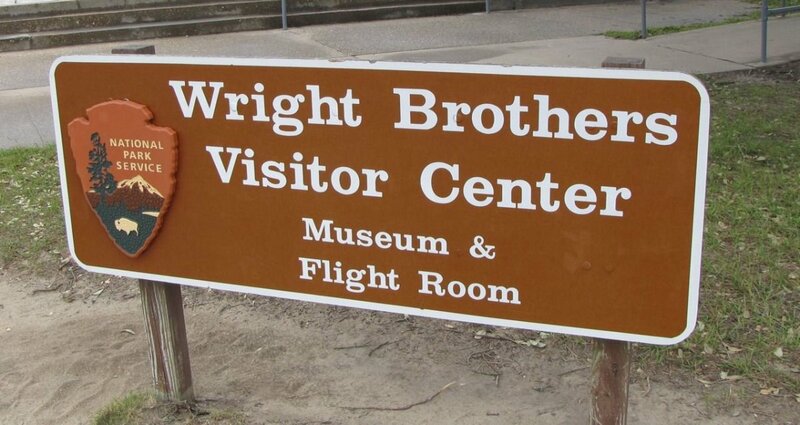 The visitor center is located at Milepost 364, while the picnic area and trails are at Milepost 367. 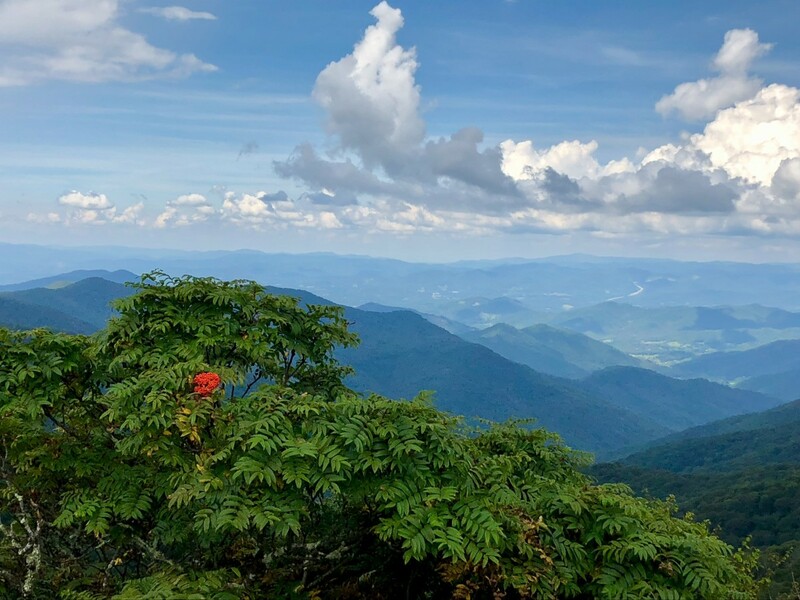 The Craggy Gardens are known for having some of the Parkway’s most colorful floral displays with Catawba rhododendrons, violets, and blackberry to name just a few. 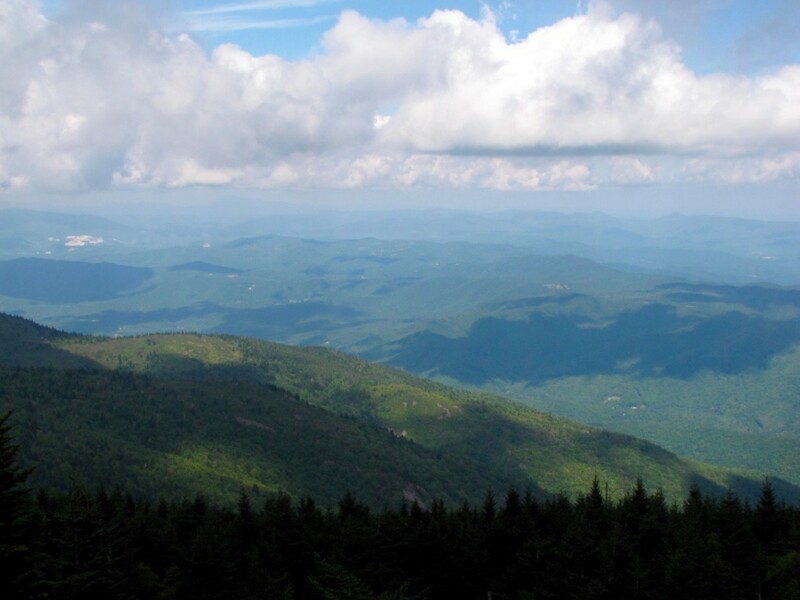 The relatively short hike up the Craggy Pinnacle trail takes you to a 360-degree view of the high peaks and valleys below. It’s just one of the numerous scenic stops along the way. The Blue Ridge Parkway is not a highway, and the maximum speed limit is 45 mph. Next up is probably the highlight of this section of the Blue Ridge Parkway, Mount Mitchell State Park. 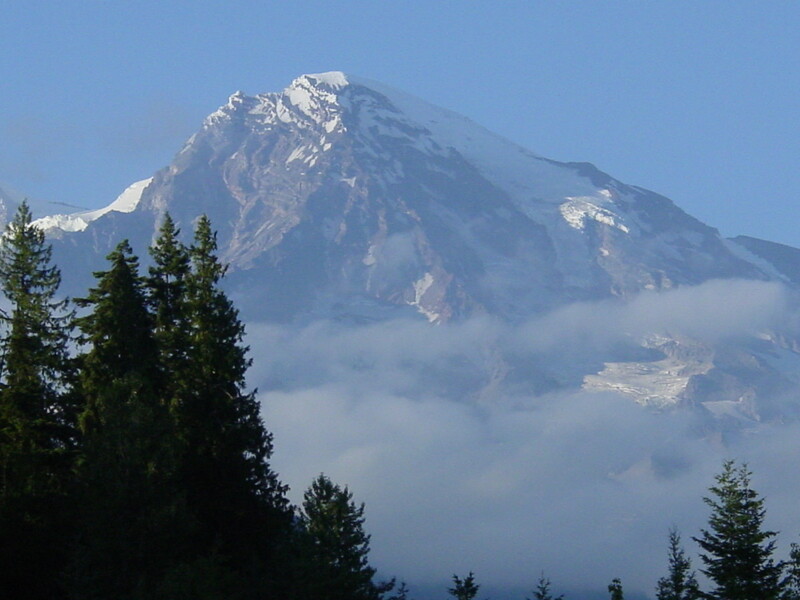 The access road to the peak is route 128 and it is located at Milepost 355. This is a great place to take a lunch break and that is exactly what we did. The Mount Mitchell Restaurant is located on route 128 before you get to the summit and there is also a small gift shop there. If you didn’t pack a lunch for the day, the restaurant is reasonable and a nice break from sitting in the car. 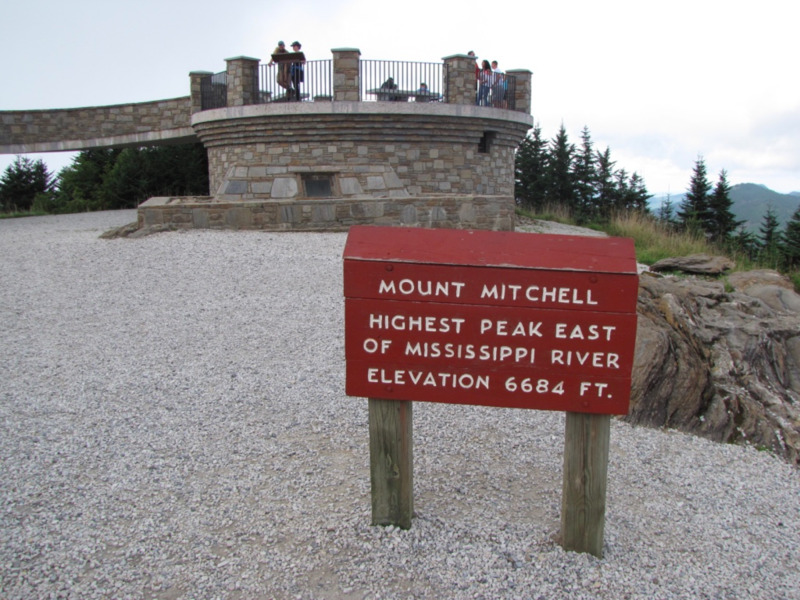 From here, it’s just a short ride to the summit parking lot and the short trail that takes you to the top of Mount Mitchell. 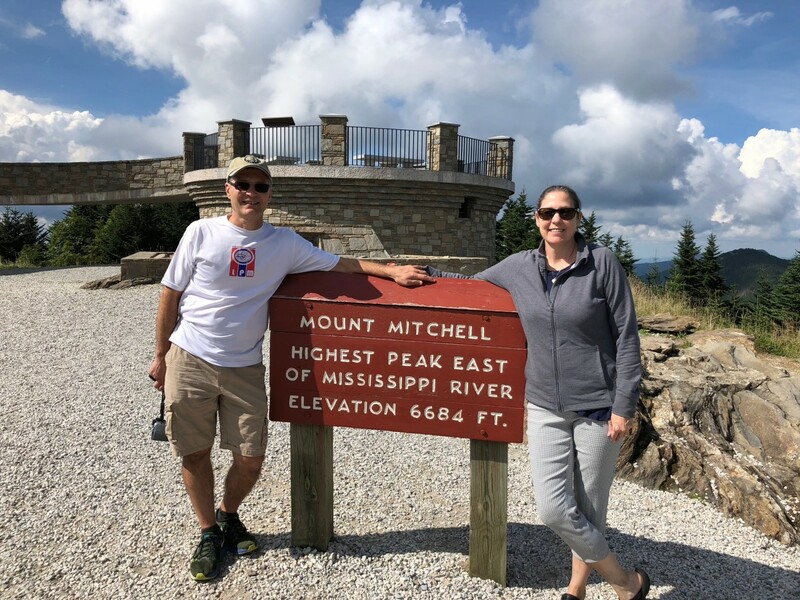 The North Carolina State Park system has done a great job in making Mount Mitchell accessible to virtually anyone with a desire to get to the summit. From the parking lot, it’s just a short hike on an easy trail to the observation deck, where the view is stunning in every direction. You have a 360-degree look at the surrounding mountains and the beautiful green carpet that goes as far as the eye can see. At 6,684 feet, this is the highest point east of the Mississippi River, and getting here completes a lifelong dream of mine. What surprised me upon arriving at the summit was the extent of the services offered here. In addition to providing an easy trail to the summit, you also have access to numerous hiking trails, the Cultural and Natural History Museum, campsites, a full-service restaurant, and a wonderful gift shop. All you need is a little cooperation from Mother Nature and your day is complete. 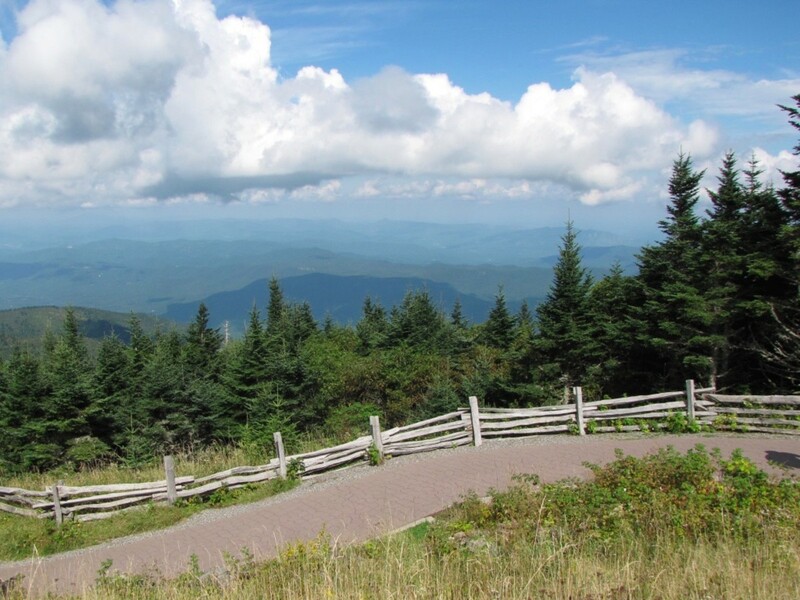 Continuing north on the Parkway from Mount Mitchell takes you to Little Switzerland at Milepost 334. The small community was named because its rolling hills and valleys resemble the foothills of the Swiss Alps. This section of the Parkway is famous for its gems, and both the Gemstone Mine and Emerald Village draw visitors looking to do a little panning for gold and gem hunting. 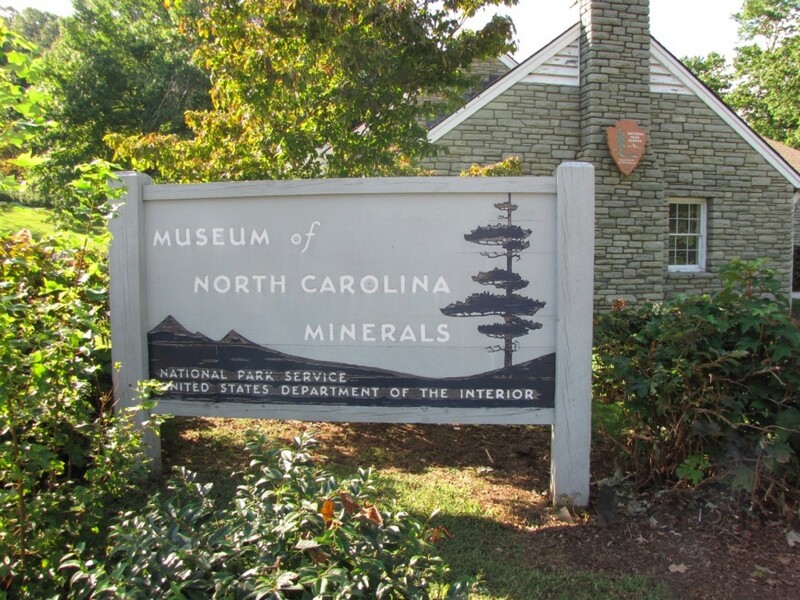 Further up the Parkway is the Museum of North Carolina Minerals. Located at Milepost 331, the museum is open seven days a week and has over 300 different minerals from the area on display. This particular region of the Blue Ridge Mountains is known to have some of the richest mineral and gem deposits in the area and can make for a fun and educational visit. If you got an early start, you can probably make it to Linville, home of the Linville Falls and Linville Caverns. There is also a Visitor Center and winery there, so it can make for a nice ending to your journey for the day. 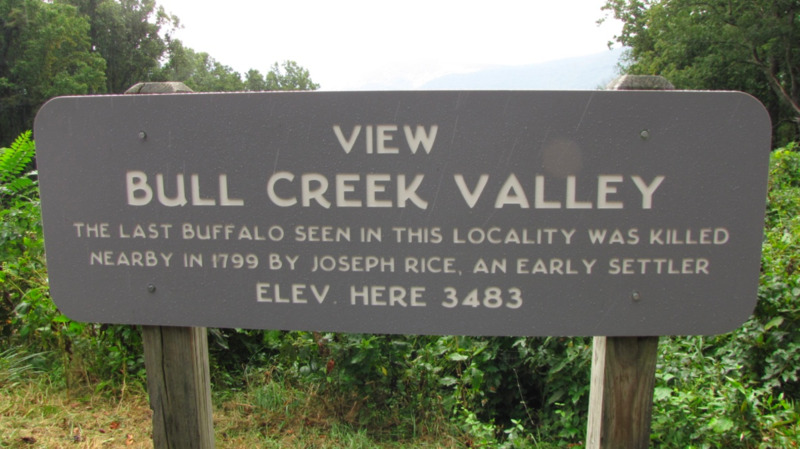 The three-tiered falls are the most visited on the Blue Ridge Parkway and two trails will take you to the falls with a few overlooks along the way. 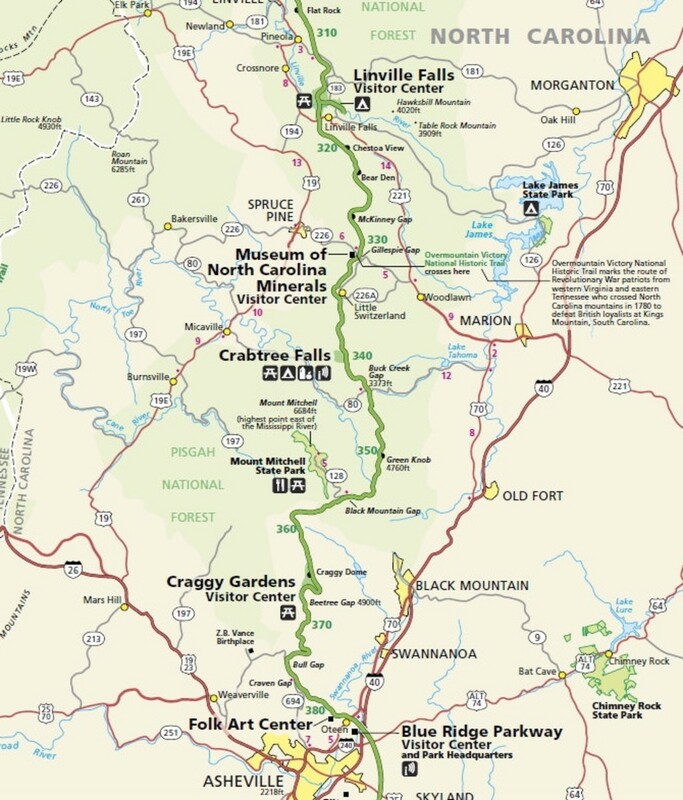 The 1.6-mile round-trip Erwins View Trail and the 1.4-mile round-trip Linville Gorge Trail both start at the Visitor Center and are considered strenuous, so be prepared. From the Museum of North Carolina Minerals, we took route 226 south to route 221, which took us to Interstate 40 and back to Black Mountain, our home for the week. 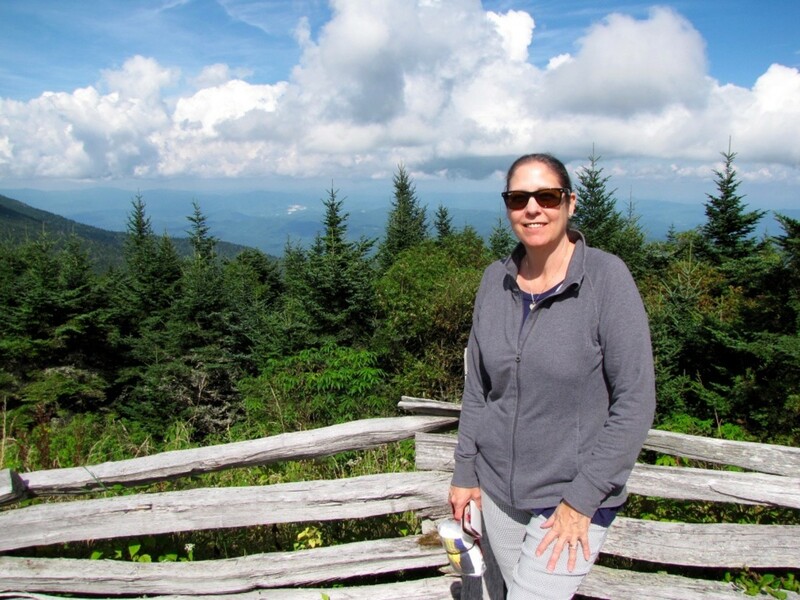 I hope you enjoyed this tour of a particularly scenic stretch of the Blue Ridge Parkway, which makes for a wonderful day trip from the Asheville area. Certainly, any part of the Parkway that you get an opportunity to drive will be beautiful and a memorable experience. Thank you Diane. How great that you lived in the area for awhile. We would love to return and explore other parts of the parkway. Thanks for stopping by, have a great day. I lived in the area for several years when I was younger and I do miss the beauty of the parkway. Thanks for sharing the wonderful features of the drive. 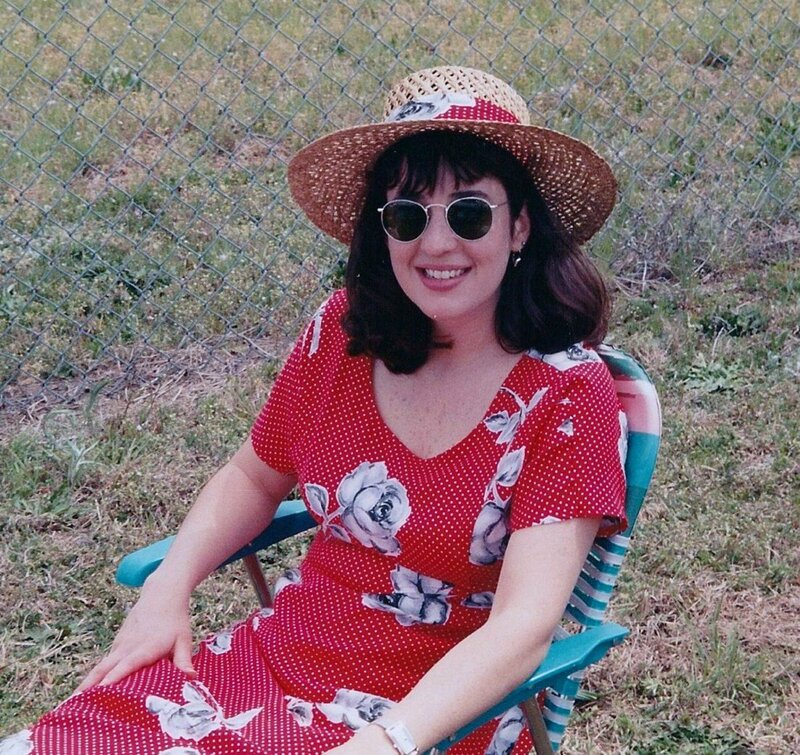 Hi Peggy. Thank you. If we get back to Asheville, next time we will go south on the BRP toward the Great Smokey Mountains NP to check out that area. So much to see and do. Thanks for showing us this portion of the Blue Ridge Parkway. Your photos are so beautiful as usual. 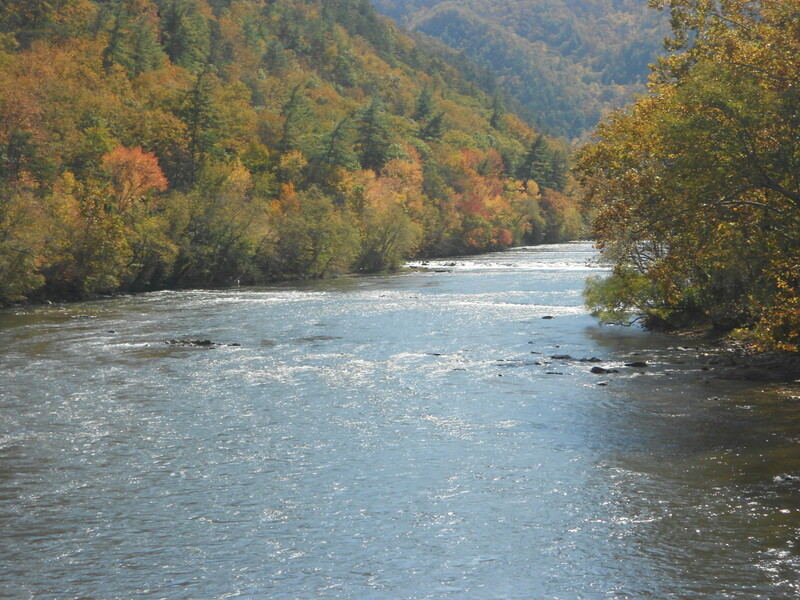 I have been to Asheville and the Great Smokey Mountains National Park seeing different things. There is obviously so much more to do and see. If I ever return to that area this will now be on my bucket list. That can be a problem driving in scenic areas. The driver, unfortunately, has to keep their eyes on the road as misses a lot of the scenery. The only problem we have when driving in such a scenic area is keeping focussed on the driving. I once directed my husband onto the Esterel road along the south coast of France. Beautiful views, but quite demanding driving around the bends on a different side of the road in an unfamiliar hire car. Thank you Liz. Yes, there is plenty to see in this small section. I’m sure the entire Parkway is beautiful and has lots to see. This is a very informative and well-illustrated article. It looks like there was plenty to see in the stretch that you covered. Hi Linda. Thank you. It really is a beautiful area. We enjoyed our visit and would definitely return in the future if the opportunity arises. What a lovely place to explore. Thank you for sharing the beautiful photos and the information, Bill. I didn't realize that there was such great scenery in North Carolina. Thank you Heidi. It was an area that we had not visited before so it was a great experience. Certainly a beautiful part of the country. 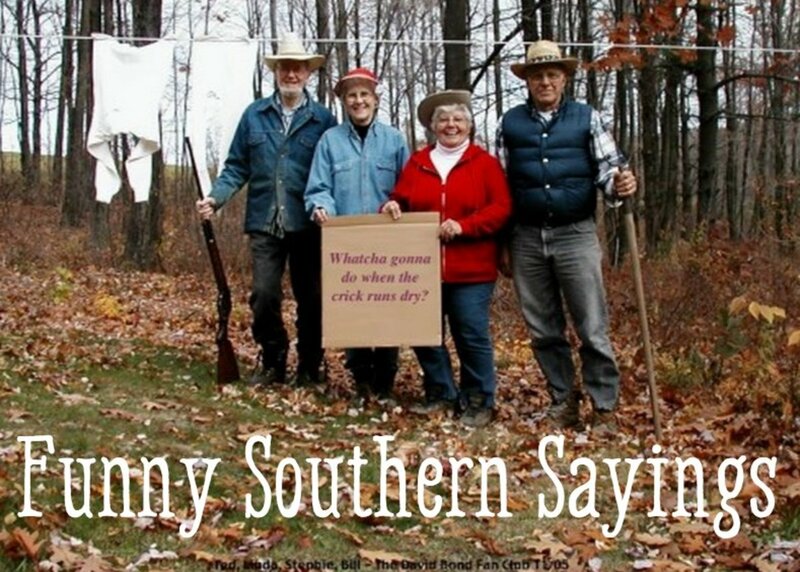 Thanks, and have a great day. What beautiful views! I'll have to remember this path if I ever head that way. Thanks for sharing your adventures, as always! Thanks Linda. If you ever get an opportunity by all means spend a few hours on the Blue Ridge Parkway, you won't regret it. In the next few weeks I should have a few hubs on Spain ready. Beautiful country, so much history. Have a wonderful day. Hi John. Thank you. We were blessed with pretty good weather the day we were there. It certainly is a spectacular ride, beautiful scenery in every direction. Thanks for stopping by, have a great day. With your name as the author, I knew this would be well written and with great photographs. You've given me another place to place on my bucket list. Looking forward to your writing about Spain. The Blue Ridge Parkway in North Carolina is a spectacular ride during good weather. This article does a nice job pointing out some of the best spots to stop. 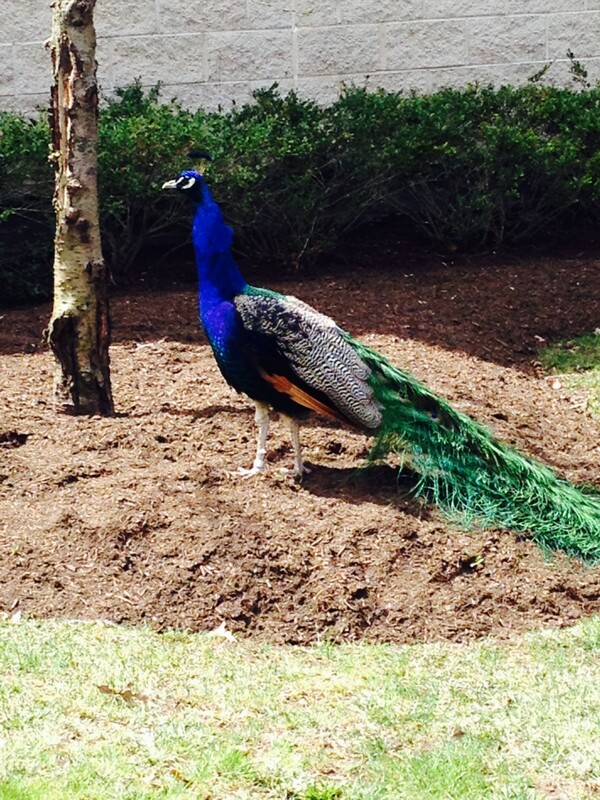 Nice photos from the parkway! A happy Halloween to you also, Bill. We are just back from a trip to Spain, so I have a number of articles in the works. I should be very busy in the coming weeks. Some of the vistas along that parkway are stunning. You are so good at this type of hub. I hope to see more from you, Bill! Hi RTalloni. Thank you. The forest in western NC just seems to go on forever. We really enjoyed our time there, such a beautiful area. Yeah, getting lost out there at first sounds like an adventure, but probably wouldn't have a happy ending. Thanks for stopping by, have a great day. Hi Flourish. It was our first time on that section of the parkway and we thought it was stunning. 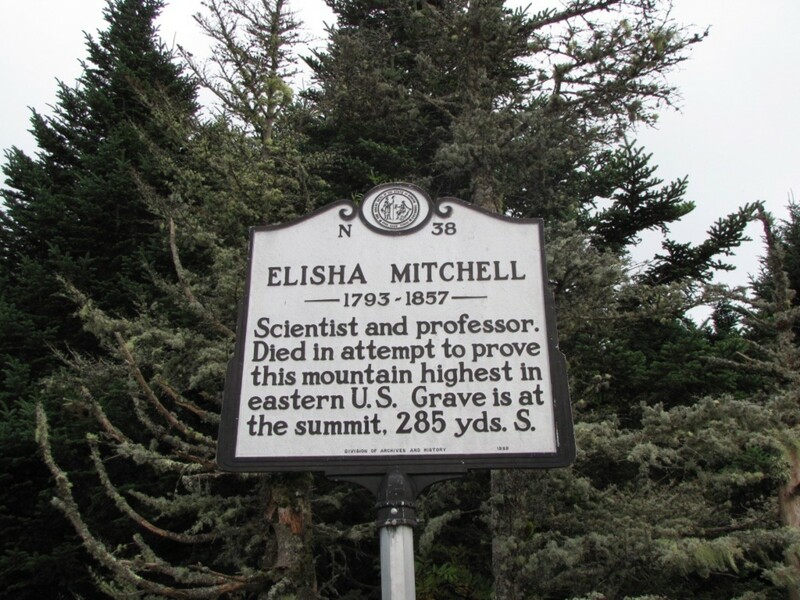 To be able to get to the top of Mount Mitchell so easily was also a surprise. Beautiful part of the country. What a beautiful area. It’s been many years sine I’ve traveled that section of the parkway, but I certainly recall it like it was yesterday.